Ever since the first Holden rolled off the production line, Australians have been loading up and heading off on the Great Australian Road Trip. It?s a wide brown land out there and we Aussies seem intent on exploring every inch of it, even if it?s only one holiday at a time. When the first road trips took place, there weren?t even any roads and those expeditions usually involved huge caravans of camels and horses and months of weary trudging towards endless horizons. Burke and Wills took a road trip that ended badly. Typical males, they wouldn?t ask for directions from the locals and ended up dying under a tree. After them came a wide range of explorers, who mapped the terrain and slowly roads, rail lines and telephone poles began to spring up across the landscape. Having a decent entertainment system in your family vehicle can make a huge difference, especially on those awesome family holiday road trips. Your entertainment system will make getting to and from your destination just as much fun as being there, taking a huge amount of stress out of your family holiday. The following are some of the fantastic features well worth installing in your family vehicle. Having Internet capability in your family vehicle is just the thing if you can?t keep your kids occupied with movies anymore. Chances are that before your kids gets very old they will have their own smartphones and other mobile Internet devices, so you and the rest of your family will love the ability to still get a signal even if you?re off camping together in the middle of nowhere. A great road trip is something that you will remember for the rest of your life, but to have a truly great road trip you are going to need the help of lots of people. Whether those are people who help you prepare to get ready to go or those who play an awesome role in the trip itself, any great road trip definitely has a few behind-the-scenes as well as centre-stage heroes. The following people are some of those who can make all the difference in making your next road trip one you?ll remember for all the right reasons. You can?t have a great road trip without your car running great, so make sure you put your vehicle in for a car service before you hit the road. Car service in Melbourne, Sydney and most other main cities is relatively inexpensive and well worth the investment, as there is no better way to have a trip ruined than by breaking down in the middle of nowhere. Be sure to get down to your local mechanic, as he or she will be playing a key role in making your road trip go smoothly. Going on a road trip is usually lots of fun, though it is also something that you should take seriously. The most important thing to do in getting ready is to focus on your car and have it just right for a long adventure on the road. You are going to be spending a lot of time in your car so think about ways to have it not just running well but also as comfortable as possible for the journey. The following are good ideas for things to do to your car before heading off on a big road trip. If it?s not running well it won?t matter how comfortable it is, so be smart and get your car a good servicing before you hit the road. Whether you go for a car service in Sydney or a car service in Melbourne, make sure you get a professional to make sure everything is in order before you head out. Going on your first big road trip is one of life?s greatest experiences, so if your child is gearing up to do their first epic adventure, why not play your part in ensuring it is awesome? The difference between a great road trip and a bad one is pretty huge, so do all you can to have things play out well for your kid. The following are some great ways to help your kid?s first big road trip be a classic trip they?ll remember forever. The best way to make a road trip great is by having a great car, so show your support for the big road trip by offering the use of your vehicle. It is really easy to add extra drivers to your insurance so why not show some faith in your kid and have them driving something decent? 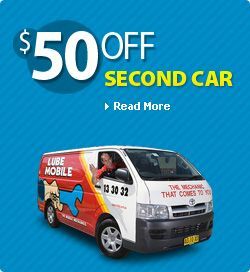 Get it serviced beforehand just in case as whether you go for a car service in Sydney or a car service in Melbourne, you are going to want to make sure that nothing goes wrong with your car when it?s out on the big trip. Before heading on a long road trip, there are certain things you need to keep in mind to ensure everything runs smoothly, from leaving at the right time to avoid traffic to bringing the right gear along with you. Additionally, a car service in Sydney, Melbourne, Brisbane, Perth, Adelaide or surrounding areas is also advisable as you prepare to drive between major cities. Car servicing is something that you should do on a regular basis. Regular checks will prevent the build up of serious problems, keeping you safe and saving you money. In addition to your normal maintenance schedule it is a good idea to perform some basic safety checks before setting out on a road trip, where you will be doing a lot of driving in a relatively short space of time. One of the great benefits of living in a country like Australia is to be able to jump in the car and take a long road trip. Once you have had your car service, which should be the starting point of any long vacation on the road, it’s time to start planning to get the most out of your holiday time. With so many choices available in this vast country of ours, it?s easy to overlook the basics. Choosing a destination is one thing but it’s quite another to make sure that the trip itself will be an enjoyable one. Remember, you’ll be spending a lot of your time in the car so it’s a good idea to cover every contingency to make your trip even more enjoyable.